You know how sometimes you love something so much, you save it twice on Pinterest? Pretty sure that happened to me with this sweatshirt. I’ve been wanting to recreate this for some time, but the moment was finally right when I ran across an amazing reverse French terry from LA Finch Fabrics (sold out, sorry!). The loops are on the side with the stripes, rather than the back, giving the front some texture. I used the Hey June Halifax pattern, the plain view with the cowl neck. I added eyelets to the cowl and a drawstring. Normally, I’m not into drawstrings (they always seem to get lost in the wash) but I think the hardware and the drawstring elevate the look a bit. The eyelets were from my stash and are the Dritz brand. The drawstring cord was purchased on Etsy, it's the gift that keeps on giving as I had 80 gazillion yards. This is a size small. The fabric doesn’t have much stretch so this is just a bit bigger than a shirt. I can fit a tank top underneath but I’m not sure I’ll try it with a loose T-shirt. This was a super quick sew since I’ve already made the pattern before. It turned out so much like my inspiration, I love it! Cooler weather has found its way to Indiana, much to my chagrin. Give me 85 degrees year round, please! The one good thing about the temperature cooling off is the mix up in clothes. 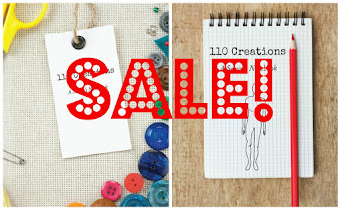 It's fun to pull out last year's items and mix them in with this year's newest sewing projects. 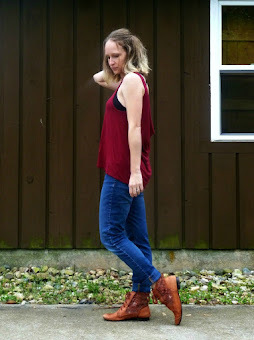 My first fall sew was the Oakley Vest, from Love Notions Patterns. I've always been one of those people who didn't understand the point of vests. Maybe it's my climate, but I never felt like we had the right weather for vests. My body is cold but my arms are not? I didn't get it. I'm not sure what changed, except that I got tired of seeing vests on Pinterest and not having one! 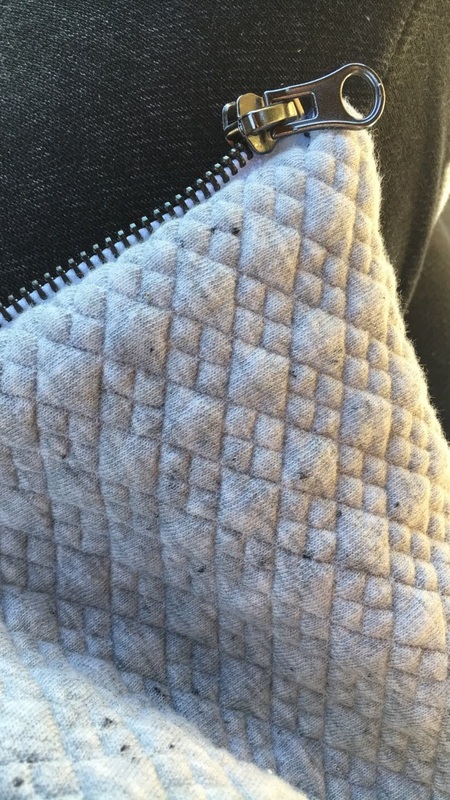 I intended to make a black vest, but while fabric shopping at Jo-Ann's I ran across this grey quilted knit. Obviously, I had to take it home. It only took one yard to make my size (XS). I was between sizes and went down, per the instructions. I'm happy with the fit. I opted for View C, the version with princess seaming and in-seam pockets, but with the collar from View B. Halfway through, I decided the vest was too lightweight to be left unlined. I also didn't have enough bias binding (it needs five yards!) and thought better of the bias tape completely. I felt it would look more elevated if it were lined. The pattern provides directions for lining View A, which has no collar and no zipper. I was left to muddle my way through lining my version. I realize now it would have been easiest to sew the collar to the bodice, the collar facing to the lining, and then bag the lining that way. I already had the collar on, however, so at the neckline I pretty much just topstitched the lining down. If you have more questions about what I did, please ask in the comments, I didn't take any photos but I can try to explain it. One other change I made was to make the pocket bags out of a lightweight woven (polka dot chambray left over from this Phoenix Blouse). 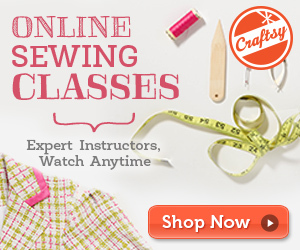 The pattern has a somewhat unusual cut-on pocket that folds back into itself inside the princess seam. That would have left me with three layers of quilted knit where the pocket is, and I wasn't keen on that much bulk right over my belly. Since the pocket was cut-on, I just cut a pocket bag from the woven and sewed it directly to the quilted knit, then trimmed away the knit. You can also save a lot of fabric this way if you don't cut the pocket fully. 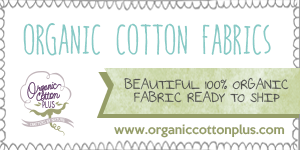 The lining is a mix of lightweight French terry fabrics that were languishing in my scraps. Not the prettiest, and I had to piece in places, but it works. Again, because the main pattern had cut-on pockets, there was some fudging of the pattern pieces to eliminate the pockets in the lining. Not particularly difficult, but an extra step. This would've been a super fast sew if I hadn't made a bunch of changes, but even with those it was a quick one. I definitely recommend wash-a-way tape to baste your zipper if you make this in a knit. My separating zipper was purchased at Jo-Ann's. The pattern called for 23" but this one was 24" and worked just fine. And I know I'm ignoring every "rule" with my photographs, and that I took pictures in broad daylight and you can see the shadows, and the color is blown out. Don't care. It had been raining for three or four straight days and the sunshine was all too welcome. Bet you didn't know that southern Indiana had such beautiful rolling hills, huh?